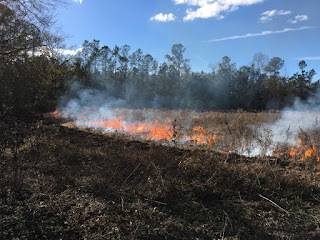 In the previous post, we showed the grasslands that Audubon South Carolina established in the fields across from the driveway at the Francis Beidler Forest. 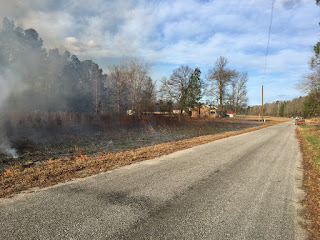 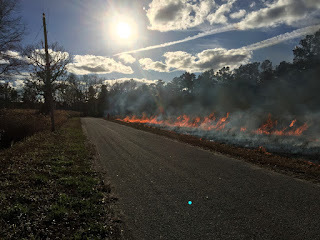 Earlier this month, we were able to burn all three fields. 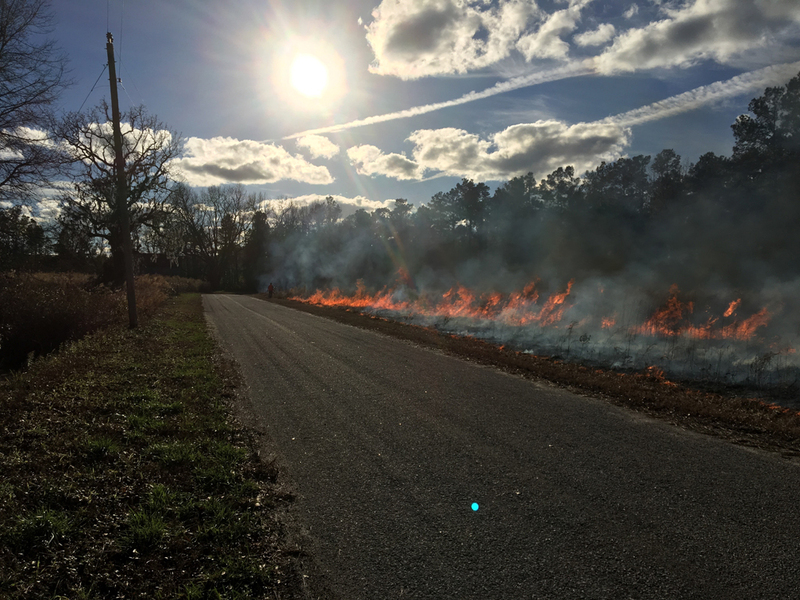 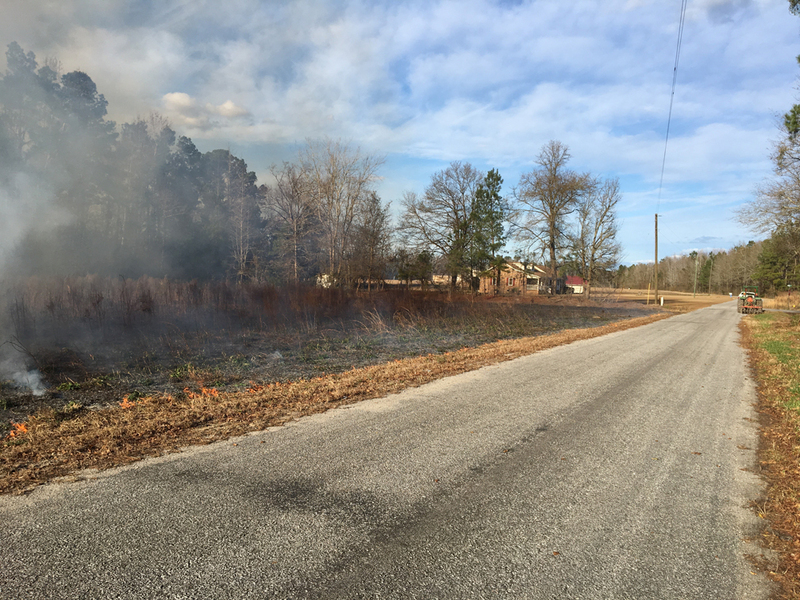 Burning the fields reduces the fuels on site by consuming the dead plant material, returns nutrients to the soil, and invigorates plant growth. New growth is more palatable to wildlife, including seeds and fruits. 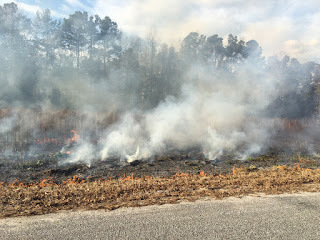 We look forward to what will emerge during the spring flush. We are also hopeful that the habitat improvements will attract Northern Bobwhite Quail as there are a few in the neighborhood.